Comments: This house had numerous custom features added by the buider to include custom front door; exterior custom trim, siding, stone work and cupola. The sitting area off the Master Bedroom can be furnished unfinished or ther Master Bath can be relocated to this area thus adding the shown bath to the Master Suite. The rear stairs to bedroom #4 (servants quarters) can also be eliminated thus adding space to bedroom #4 and the Nook area off the kitchen. Additionally, if a 3rd garage is not needed, that space can become another room or used to enlarge the Family Room. 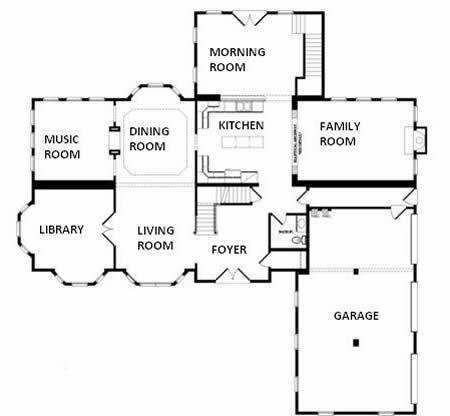 ACTUAL HOUSE MAY VARY FROM ELEVATION. 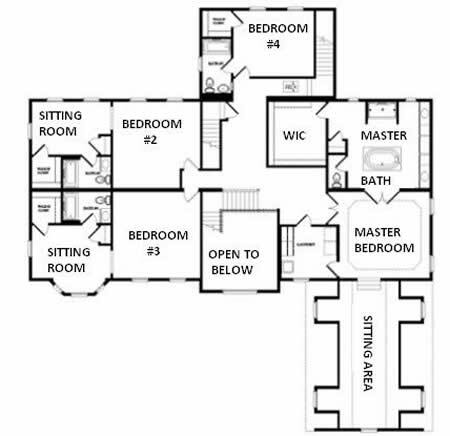 The plan graphics that display on this page may be a combination of artist renderings, photos and line art and are provided to you so that you can begin the process of developing your own ideas for your final home plan.